Ok. When is it going to hit 50 billion? Put your bets down. 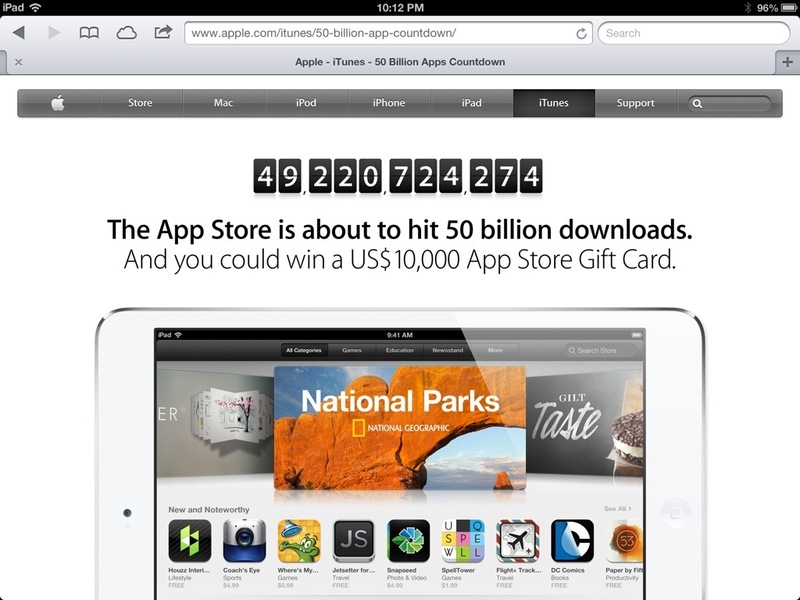 Old posts from when Apple was at 25 billion app downloads. When will it hit 100 billion? 1 trillion? How many apps will be sold by December 25th? Any more? I wonder: do they sell computers, phones, or tablets through the app store? If not, why would anybody ever need $10000 worth of software gift cards? Yea I think you can buy hardware through the apple store gift card. Also music, that’s a lot of music.